WVWD is Now Accepting Submissions for the 2019 Poster Contest! Submissions for WVWD’s annual poster contest are now being accepted. The deadline to submit a poster is Monday, March 18, 2019 at 5:00 p.m. For complete contest rules and guidelines, choose one of the options below. The District sponsors an annual poster contest for all 3rd, 4th, 5th, middle school, and high school students attending schools in the District’s service area. Utilizing the theme “Water is Life,” the students are given the opportunity to demonstrate their artistic abilities while learning about the importance of water in our lives. 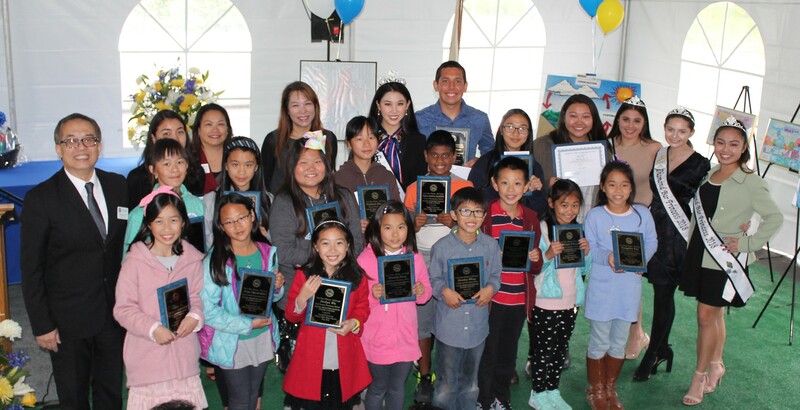 Awards were presented to the 2018 Poster Contest winners in conjunction with the Essay Contest awards at the awards ceremony in May. How do I participate in the Poster Contest? In January or February letters are sent to teachers at elementary schools located within the District inviting all 3rd, 4th, 5th, middle school, and high school students to participate in the Poster Contest. Students enter the contest by creating a poster which they hand in to their teacher. Using the District’s contest guidelines, each teacher selects up to three posters to represent his/her class in the contest and submits them to the District by the specified date. Contact your school teacher for further information on participating in the Poster Contest. What are the Poster Contest Rules? Posters must be drawn horizontally on either 12″ x 18″ white poster board or white drawing paper with a clear white or blank border of at least one inch on all four sides. Students may use crayon, watercolor, poster paint, markers, ink, pastels, chalk, cut paper, or fabric to create their posters. Only original artwork and ideas that realistically represent the age, grade level, and developmental skill of the student will be accepted. Computer-generated, trademarked, slogans, traced, or copyrighted material is NOT permitted. Each poster must have a label affixed to the back of the poster with the student’s name clearly printed on the label. What happens after the posters are submitted? The District’s Board of Directors judges the poster entries based on originality, color, complexity, and theme. The 1st, 2nd, 3rd, and 4th place winners are invited to an awards ceremony in May to receive special recognition. The District proudly displays the winning posters at one or more specific events during the month of May, California’s Water Awareness Month. The 3rd, 4th, and 5th grade first place winners and his/her entire class receive an all expense paid field trip to tour the Three Valleys Municipal Water District’s Miramar Treatment Plant in Claremont and a pizza lunch provided by the District. The winning posters are also submitted to the Metropolitan Water District for further judging as entries in their calendar contest. The winning posters are displayed on the District’s web site for the following year, along with group photographs of the winners.